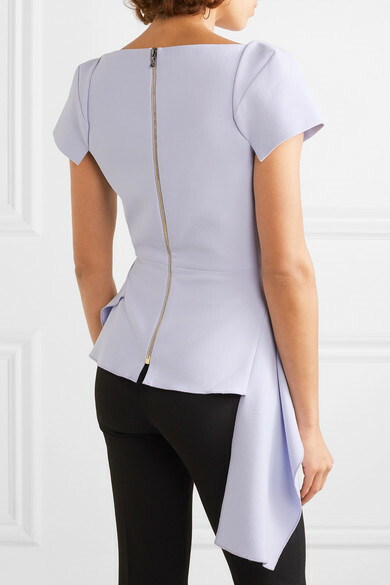 Roland Mouret creates pieces that flatter your figure in the most elegant way. 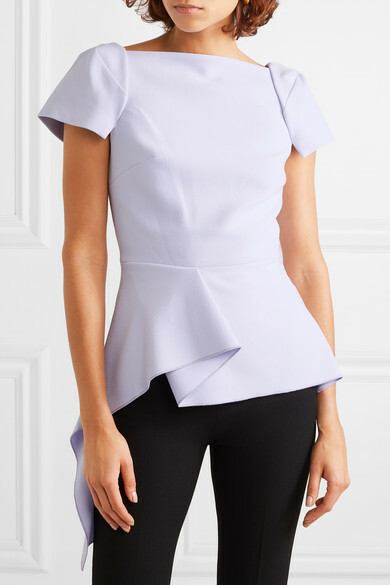 Beautifully cut from lightweight crepe, this top has darts at the bust and a nipped-in waist to enhance the fit before falling to a softly folded peplum hem. 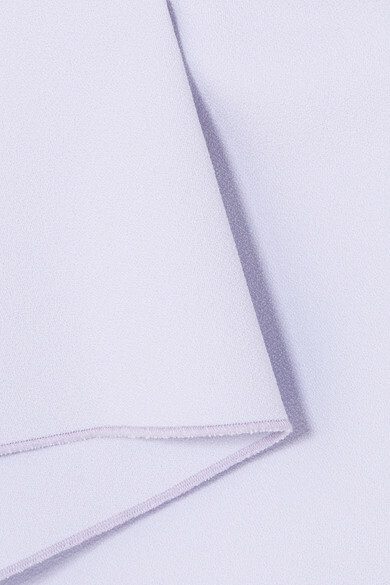 The pretty lilac hue goes perfectly with classic navy and black, but looks gorgeous with red, too. 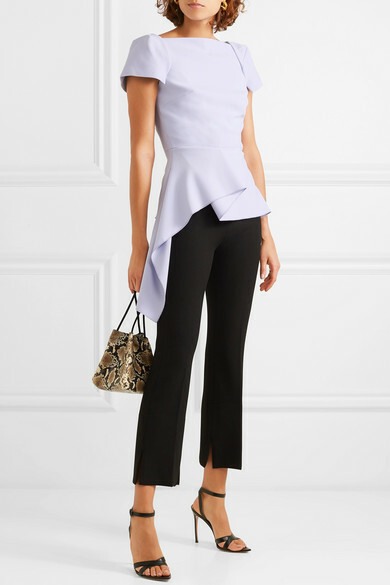 Shown here with: Roland Mouret Pants, REJINA PYO Bucket bag, Gianvito Rossi Sandals, Kenneth Jay Lane Earrings.